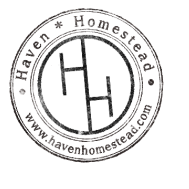 ﻿Haven Homestead Media is a media publishing company under the larger umbrella of Haven Homestead. All of the materials produced are created with our vision statement in mind. At Haven Homestead, we are trying to create a haven of responsibility, learning, sustainability, and love. Click on the links below to learn more. Mugs, T-Shirts, and more, all with fun sayings, inspirational quotes, and nifty designs. Text Books, workbooks, and information on our upcoming Online School for Sustainability. Lindsay writes books of all sorts... find out more about them at her author website. "How To" videos and Podcasts all about sustainable living. ​Above all, Lindsay is a mother and a wife first, but she loves to fill the margins of her day with all things creative! A couple of her favorite things are writing and photography. She likes to tell true stories. She likes to tell made up stories that have true elements. She loves to learn.